Lipman Law Firm has a unique area of practice involving consumer class action litigation specializing in class action bed bug litigation. Jeff Lipman was involved in the first in the nation class action lawsuit involving bed bugs filed right here in Iowa. The case was also the first bed bug class action in the nation that received class action certification status at the District Court. The class action certification was ultimately upheld at the Iowa Supreme Court. A settlement was reached for $2,450,000. The firm since filed a number of class action cases involving bed bug infestations in Iowa, Illinois and California. 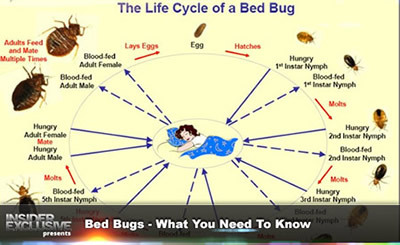 The firm has also represented individuals and families in bed bug cases in Alaska, California, Colorado, Florida, Iowa, Illinois, Kansas, Minnesota, Missouri, Nevada, New Mexico, New York, Ohio, Pennsylvania, Virginia and Wisconsin. Jeff Lipman is a frequent speaker throughout the United States including the National Pest Management Association and Entomological Society of America. In addition to the speaking engagements listed below, Jeff also represents a number of Pest Control companies throughout the United States, products manufacturer, including Pest West and Allergy Technologies. Jeff has been published in PMP magazine, a trade publication in the pest control industry on multiple occasions that you can read by clicking on the link below. Lipman Law Firm has also settled multiple tenant claims at or above $250,000.00 in California and a homeless shelter class action claim for $200,000 that is pending class action approval.